August has traditionally been a good time to purchase a new car or truck since dealers try to clear their lots for the next model year. While model year transitions now take place throughout the year, this August may still offer some attractive deals, since sales have leveled off in recent months and more leased vehicles are hitting used car lots. 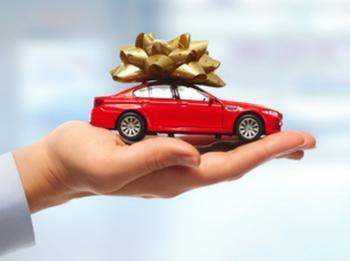 If you happen to be in the market for a new vehicle, U.S. News and World Report has identified eight cars and trucks with excellent cash back and financing packages. "Car sales remain strong, so a lot of automakers are backing off of incentives, including cash back deals that are popular with consumers," said Jamie Page Deaton, executive editor of U.S. News Best Cars. "We've found this month's best cash back and financing deals on well-reviewed cars, so consumers can save thousands on the right car, SUV or minivan for their needs." Topping the list is the 2018 Chrysler Pacifica minivan. Depending on the region of the country in which you live, buyers may qualify for zero percent financing for 36 months, plus up to $2,250 cash back. Consumers in other areas of the country may qualify for $4,000 cash back. The 2018 Ford Escape offers zero percent financing for 72 months, along with $1,000 in bonus cash. The EV Nissan Leaf also comes with 72 months of interest-free financing and some bonus cash, depending on the region where you live. The 2018 Volvo V90 comes with one of the more generous cash back offerings -- up to $6,750. The popular 2018 Subaru Outback this month is offering interest-free financing for what is described as "a limited term." The 2018 GMC Sierra pick-up is offering a 14 percent discount from the MSRP when you finance through GM Financial. That, of course, brings up a good point. Interest-free financing and cash back are only attractive when you negotiate the best purchase price. Make sure you do your homework and take advantage of online tools to determine a fair price. A couple of 2019 models also make the list of best August deals. Qualified buyers can get 0.9 percent financing for 60 months on the 2019 Infinity QX50. The 2019 Jeep Cherokee offers up to $4,500 cash back, depending on where you live.